If you don’t have kids (or if you do, but want a break from them!) then September is a great month to plan a holiday as the school holidays are over and prices for flights from the UK return to their usual prices. September is shoulder season in many parts of the world so it’s the best time to grab a bargain. Are you looking for places to visit in September, here are recommendations from five UK travel bloggers based in the north of England (including myself). I asked each blogger to recommend their favourite September holiday destination and there was a fantastic selection. The heat in Rome in August is unrelenting which makes it difficult to take in the sights. The heat in September is way more comfortable and perfect for a summer city break. Walk the ancient cobbled streets and discover a piece of history on every corner. Spend long summer evenings wandering around, and don’t forget to stop for daily gelato to cool down. It is the law here. If you’re looking for a quick post-summer getaway, then Vilnius is the perfect destination. Two or three nights should be enough in this cheap and cheerful European capital, but make sure to explore every inch of its charming, UNESCO-listed Old Town, adorned with beautiful Baroque architecture. For the classic Vlinius panorama, climb up Castle Hill and check out national landmark Gediminas’ Tower. Pilies Street is the foodie hotspot, and don’t pass up on the surprising nightlife which will have you dancing into the early hours. Plitvice Lakes National Park in Croatia is definitely a place for you bucket list. The UNESCO heritage site is truly stunning with 16 natural lakes flowing into one another and amazing waterfalls. As one of the country’s most visited destinations, I’d recommend visiting in September when there are less crowds, the weather in Croatia will still be good through most of September and into October. I visited as part of my European 22 day interrailing trip. While September is part of Thailand’s rainy season, it can be worth braving the occasional down pour as tourist numbers are low and prices are even lower. It’s the perfect time to explore the northern regions such as Chiang Mai, Chiang Rai and Pai, although there will still be plenty of good weather if you just can’t resist a trip to the beach. Being more connected to nature and having deeper, more meaningful travel experiences has been one of my goals over the past few years. I love exploring National Parks and Yosemite was spectacular. 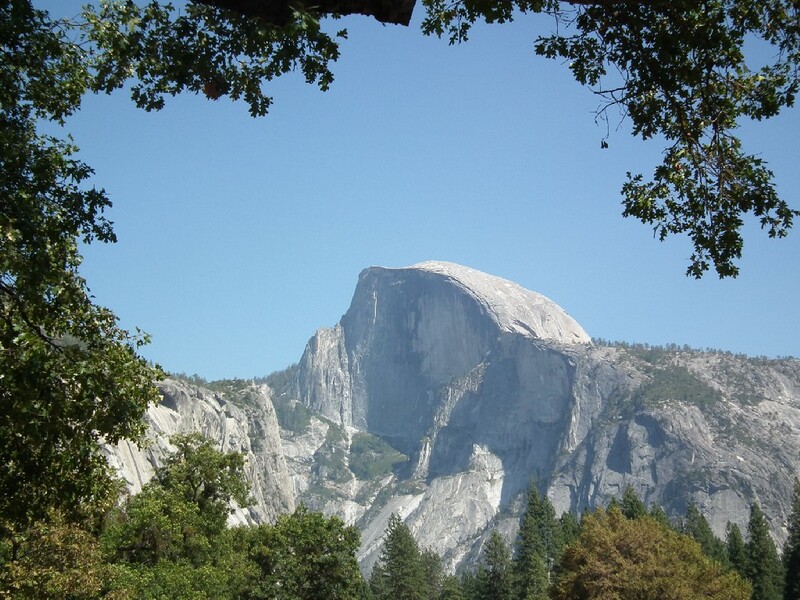 I couldn’t believe I was stood in front of Half Dome or at the foot of a giant Redwood. Tuolumne County is a fantastic historic area and the perfect gateway to Yosemite. I’d love to hear your favourite September holiday destinations, let me know in the comments below or browse the rest of the series.